A 64-bit version of Google's Android operating system is only months away from an official launch, according to Jeffrey Ju, vice president, Smartphone Business Unit at Mediatek, during an impromptu briefing yesterday. 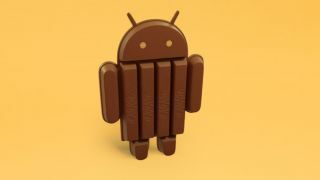 He said that Q3 will be when that elusive beast will be announced, one that is likely to carry the moniker Android 5.0. Q3 is also when, traditionally, Google is expected to announce the followup of the Nexus 5 and the Nexus 7 2013 edition. Ju said that it made perfect sense for Google to launch a 64-bit Android in Q3 because there are already two mainstream 64-bit system-on-chip solutions, Qualcomm's Snapdragon 410 and Mediatek's just announced MT6732, both based on ARM's A53 architecture and aimed at the "super mid-market audience". Other vendors like Samsung and Rockchip are also expected to launch 64-bit SoCs soon. In the enterprise arena, the likes of Cavium and AMD are also doing the same. The Linux Kernel, which is at the core of Android, is already 64-bit capable which means that the transition should be painless. Moving from 32 to 64 bit is likely to have the biggest improvement in performance in multimedia, added Ju. Intel worked on a 64-bit version of Android 4.4 Kit Kat for its own Merrifield solution earlier this year.